SANTA CLARA, Calif.--(BUSINESS WIRE)-- Agilent Technologies Inc. (NYS: A) today announced the winner of the fifth annual Agilent Early Career Professor Award: Dr. Jindan Yu, assistant professor of medicine at Northwestern University in Evanston, Ill., who will direct $100,000 in unrestricted research funding from Agilent. 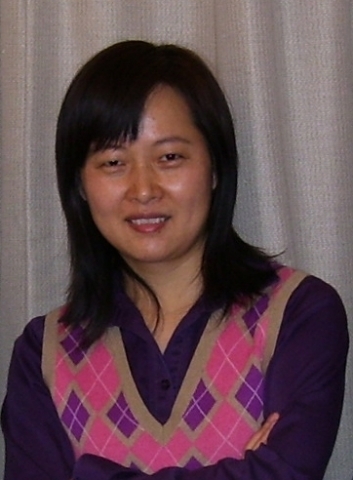 Yu joined the faculty in the department of medicine at Northwestern University in 2009. Her research uses genomics and bioinformatics to better understand the progression of prostate cancer. Her aim is to develop novel prognostic/diagnostic tools and treatment strategies. This year's award focused on cancer diagnostics, a field of increasing importance to Agilent, which acquired Dako, a worldwide provider of cancer diagnostics, in June. To qualify for the award, a professor must make significant contributions to the subset of cancer diagnostics aimed at multi-analyte tools for proteomic and/or genomic biomarkers in pathology. Yu has discovered several biomarkers associated with prostate cancer. "It's always a great honor to have the work of a faculty member recognized, especially early in her career," said Jay Walsh, vice president for research at Northwestern University. "The Office for Research congratulates Dr. Yu and thanks Agilent Technologies for awarding her this recognition." "We recognize Dr. Yu for her original and important results in cancer genomics and bioinformatics, and we are looking forward to following her future research in cancer diagnostics," said Jack Wenstrand, director of university relations and external research at Agilent. "Our global call for nominations resulted in a remarkable pool of finalists, and we congratulate Dr. Yu, winner of this competitive award." The Agilent Early Career Professor Award is presented annually to recognize and encourage excellence in measurement research. It seeks to establish strong collaborative relationships between Agilent researchers and leading professors early in their careers, as well as to underscore Agilent's role as a sponsor of university research. More details are available at www.agilent.com/univ_relation/profaward/index.shtml. The article Agilent Technologies Announces Winner of Fifth Annual Early Career Professor Award originally appeared on Fool.com.